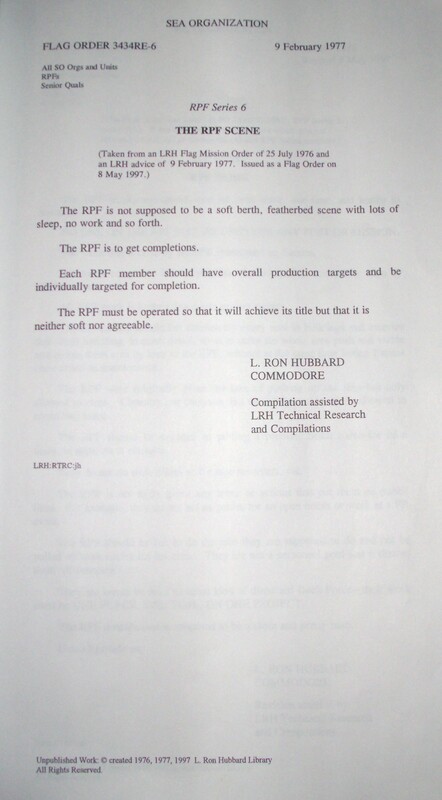 The RPF is not supposed to be a soft berth, featherbed scene with lots of sleep, no work and so forth. The RPF is to get completions. Each RPF member should have overall production targets and be individually targeted for completion. The RPF must be operated so that it will achieve its title but that it is neither soft nor agreeable.